Although renders by leaksters and case makers had given us a good idea about what to expect this year from the Galaxy S line-up, this is the first time that the internet has treated us to an actual live image of the upcoming Galaxy S8. 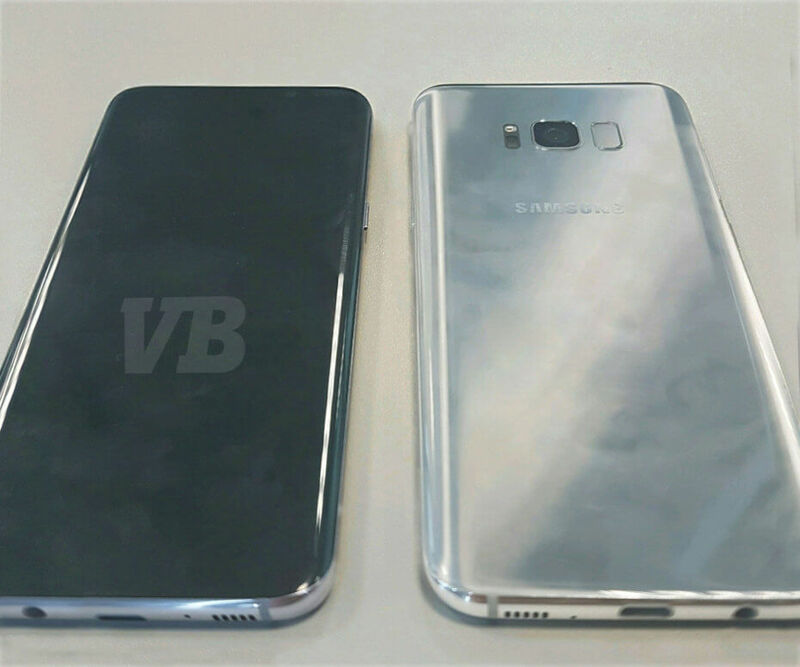 Courtesy of VentureBeat, we have a live image which shows the S8 both from the back and the front. Let us now take a deeper look at what has been revealed about the S8 by the picture, provided that it is indeed the Galaxy S8 which we are seeing here. We can see a single camera module with flash and the fingerprint scanner placed right beside it. Additionally, there appears to be a single speaker grill at the bottom and there's a chance that another speaker grill will be found on top of the phone. There's USB Type-C as expected and most delightfully, the 3.55mm audio jack can be seen as clear as the light of day. Earlier rumors had suggested that the S8 Plus may feature a dual camera module, so this could very well be the regular S8 that we are seeing here. True to what every rumor had been predicting, the phone has no physical Home button and sports a bezel-less curved display. To find out everything else about the Galaxy S8, check out our Samsung Galaxy S8 specifications here.